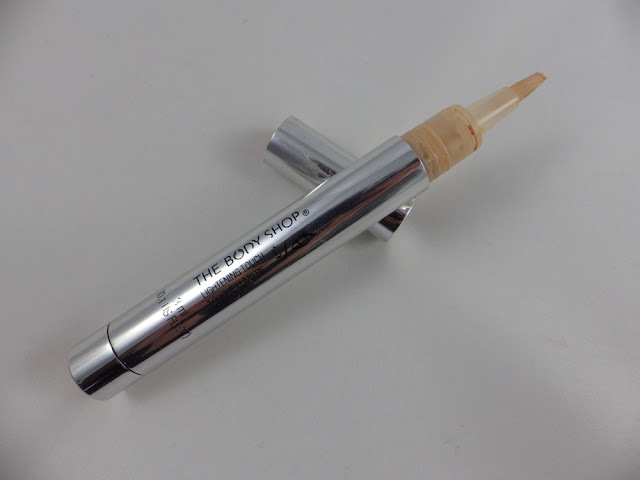 The Body Shop say, "This light-diffusing liquid concealer works brilliantly on undereye shadows and imperfections". 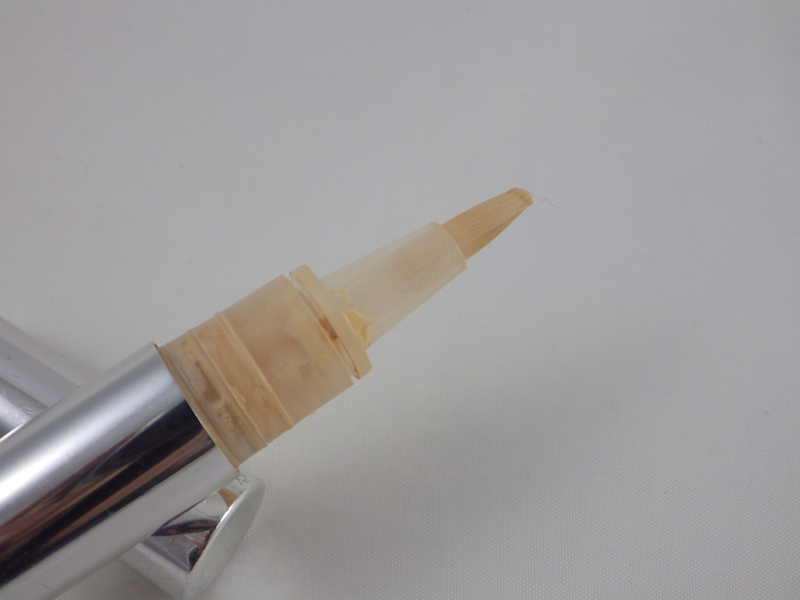 The Lightening Touch Pen is available in three shades and I use the lightest, called 01. This is definitely more of a highlighter than a concealer; the formula is a lot thinner than a typical concealer (such as Collection Lasting Perfection) and it definitely doesn't provide as much coverage. I have quite bad under eye circles and so I use Lightening Touch over my concealer, just to give some radiance where some darkness still shows through. The difference is subtle, but my eyes definitely look brighter. The formula doesn't go cakey and blends easily, plus as the formula is so light it's great for touching up without having to trowel it on! The only thing that stops me really loving Lightening Touch is the price - £14.00. I just wish it was a little bit cheaper! I bought this when I had a gift card so didn't pay full price. I think it's because it seems a lot compared to similar highlighting pens you can get in Boots, such as Bourjois and Maybelline. 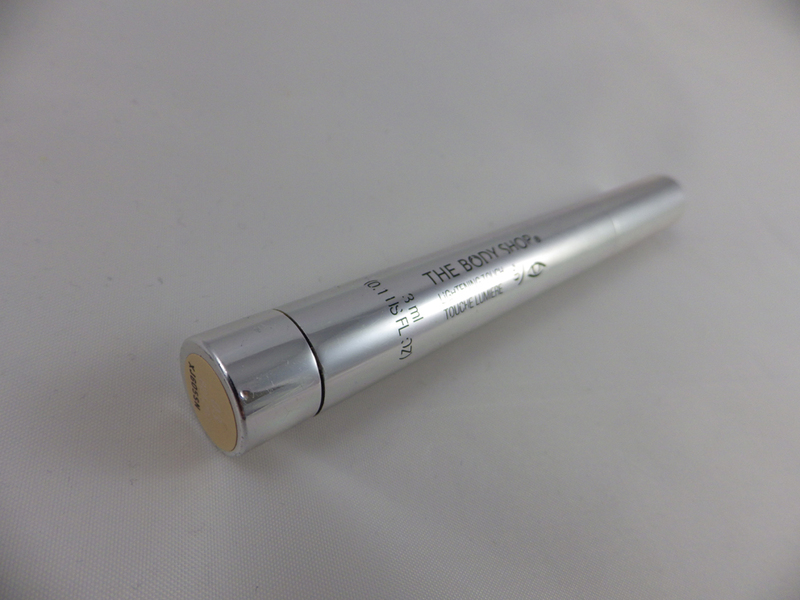 The Body Shop Lightening Touch Pen is a fab highlighting product to provide radiance under the eyes. 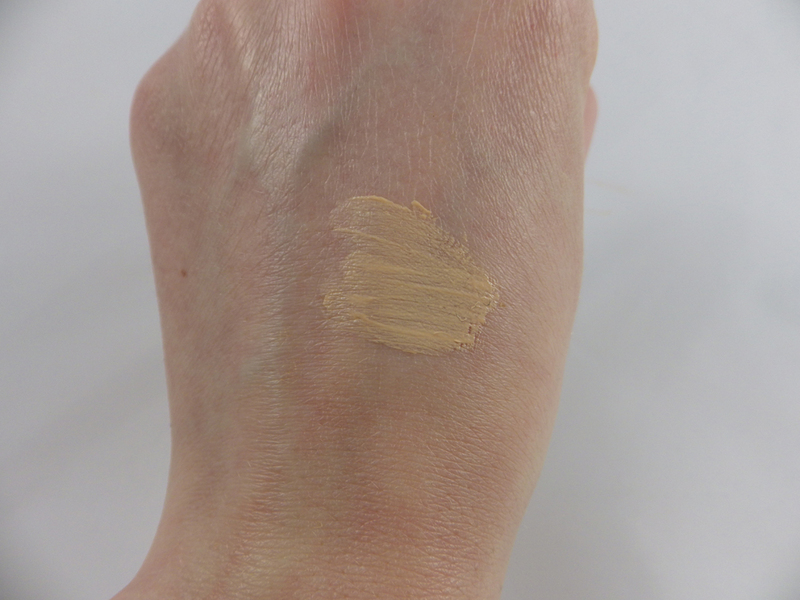 The formula is lovely and light and so easy to blend. There are only three shades to choose from though, so they may not suit everyone. I will definitely re-purchase, but I think I'll wait until The Body Shop have an offer on, which seems to be quite often! To view the product on The Body Shop's website, please click here. What's your favourite highlighting product for under the eyes? Ooh I like the look of this- don't like the look of the price tag though :( might have to keep an eye out for the cheaper ones! Looks alright. Something I need to look into, See if they have the colour for me.